Get excited because it’s homecoming! Today is the homecoming football game at my school and I have to look fab for the tailgate. I thought I’d give you a little overview of the products I used so you can look just as great for tailgates, football games, or any other events you might have going on. The look I have today is a little mixture of high end and budget beauty products, but worry not because there are cheaper substitutes for the high end products that I use. I will include all of the prices at the bottom of this post. I started off with the Maybelline Superstay Better Skin foundation and a touch of Maybelline Master Conceal concealer. I set my foundation and concealer with the Maybelline Fit Me matte poreless pressed powder. I also used NYX Born To Glow liquid illuminator in the shade Sunbeam on my cheekbones. To add a little color back to my face I used Too Faced bronzer in the shade Sun Bunny Dark and blush in the shade Who’s Your Poppy. As a base for my eyeshadow I used Maybelline 24hr Color Tattoo in the shade Barely Branded. I used Tarte eyeshadow in the shades Champagne & Chocolat and Tea for Two in the creases of my eyes. The eyeliner I used is my absolute favorite liquid liner! 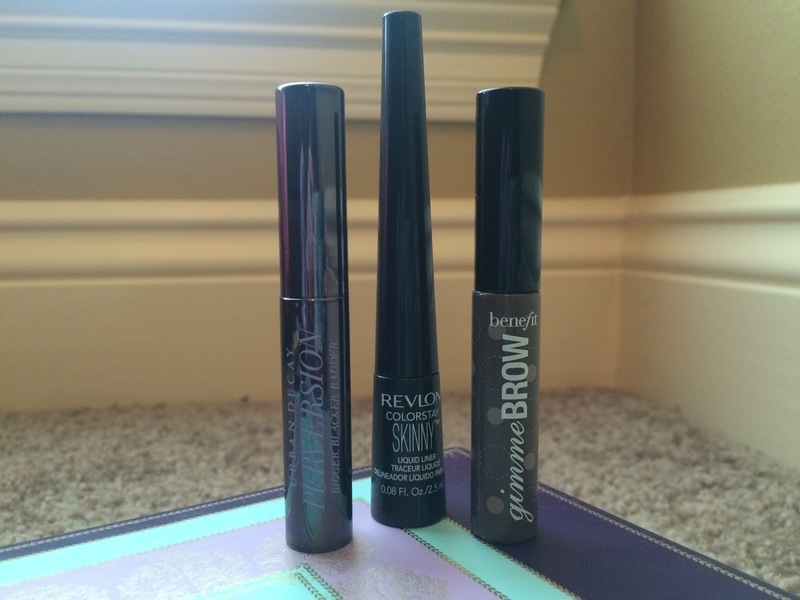 It is the Revlon Colorstay Skinny liquid liner in the shade Black Out. My mascara is Urban Decay Perversion. I filled in my eyebrows with Benefit Gimmie Brow in the shade Medium/Deep. 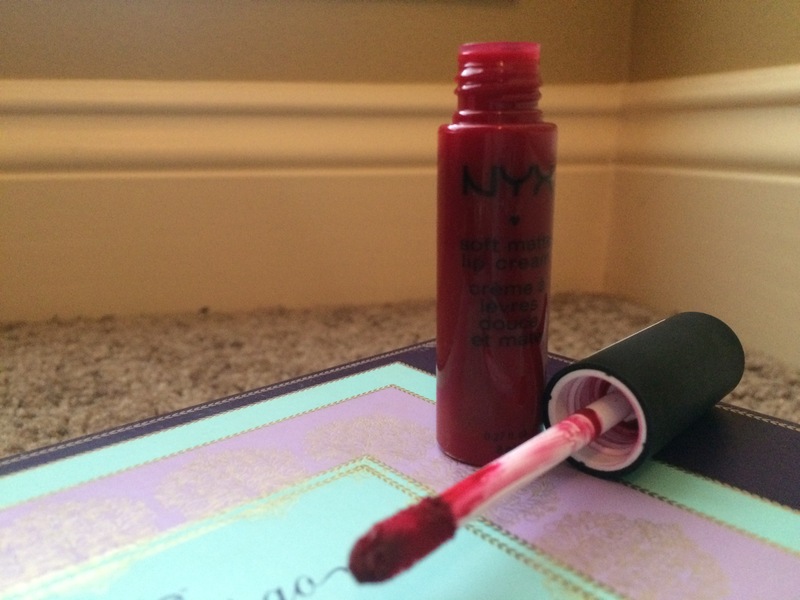 Finally down to the lipstick, I used NYX Soft Matte Lip Cream in the shade Monte Carlo. I hope you all find this overview useful and you rock some of these outstanding products at your next event!